“Maytor” is an incredible interior design project carried out by Trip Haenisch & Associates in Beverly Hills, California. A mid-century modern home perfectly designed for a family, where outstanding collapsible doors connect the inside and outside. 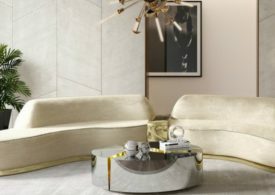 The apartment features some exquisite details, such as DelightFULL and Tom Dixon lamps, Jean Royère furniture and works from Jeff Koons, Damien Hirts and RETNA. . Scroll down and get delighted with some pictures and further information! Collapsible doors connect the inside and outside, creating a brighter and greater space. Inside, the first eye-catching is the amazing suspension lamps by DelightFULL. Coltrane is a monumental design inspired by jazz-artist John Coltrane innovation and expression. We can also spot a Damien Hirts‘ skeleton photo on the wall, sculptor Jeff Koons’ puppy vase next to the fireplace, and right above it an impressive painting blend by American street and artist RETNA. How better it can get? You ask. Well, in the opposite side of the living room, another brilliant piece of work by DelightFULL, this time a contemporary descendant of retro sphere lighting: Atomic suspension lamp. As each shade evokes a petrifying effect, it’s ideal to be placed in a modern living room to surprise your guests, as well as in a modern lobby. 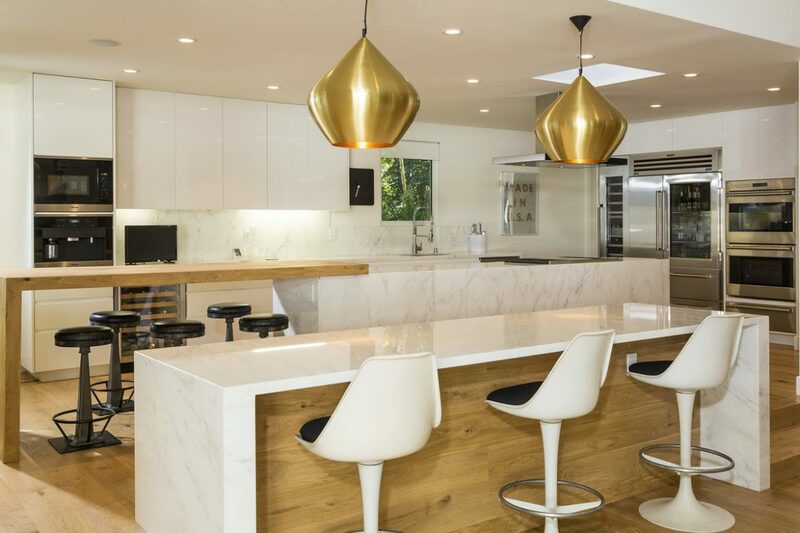 The surprise goes on and in the kitchen area we can find TOM DIXON pendant lights. A mix of black, white and gold decor gives a sense of luxurious yet warm atmosphere. The soft-tones bedroom also have connection to the outside. 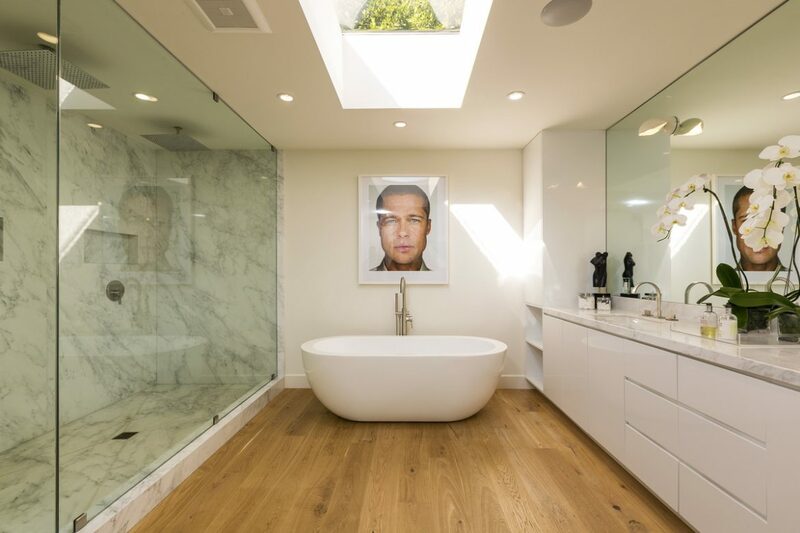 … And so is the bathroom, if we look at the ceiling!